The concert will commence at 2pm, £8 per person. Full programme to follow in due course. The GAC Burns Supper will be held on Friday 31 January 2020. A supper for members will be served following the talks. Please call the Club for details. All Thursday Talks are £10 for members, £12 for non-members and £5 for students. 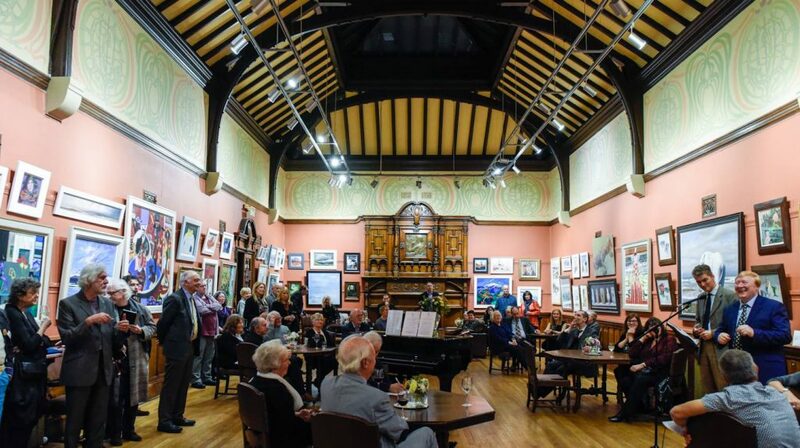 Please note that, unless stated, all events are open to members of the Glasgow Art Club and their guests only. Public events will generally be advertised through our eventbrite profile. To book an event please call 0141 248 5210, email dan@glasgowartclub.co.uk or add your name to the book. Exhibitions are open to the public 12-5pm Monday - Saturday, or by appointment. Hot meals and snacks are currently available in the Dining Room 12 noon until 4pm, Mondays and Tuesdays, and 12 noon until 6pm Wednesdays to Saturdays.